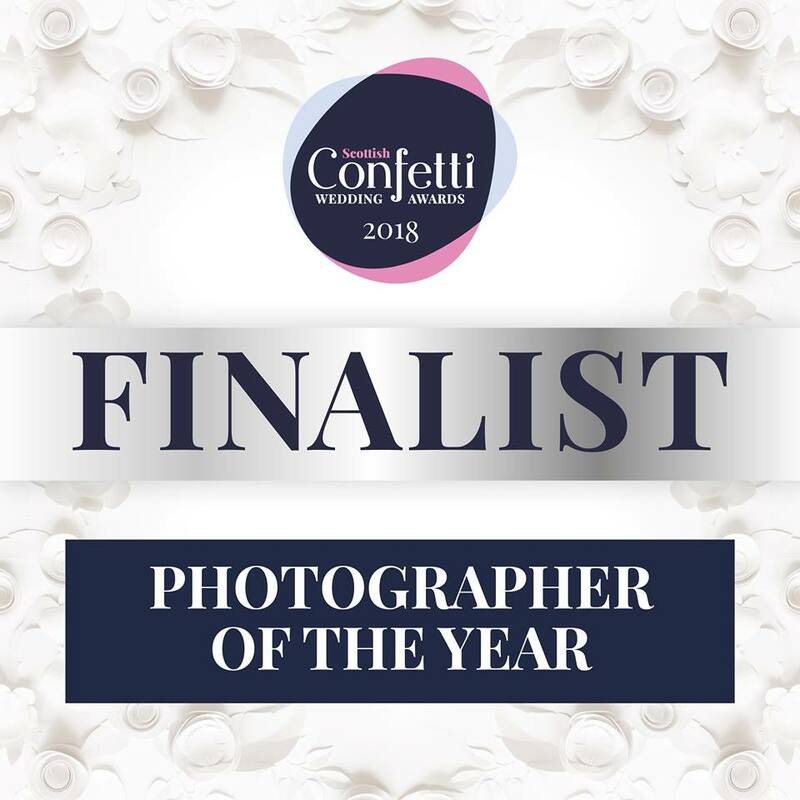 I am absolutely thrilled to announce that I have reached the final of the 2018 Confetti Awards and I am in the running to scoop the title of Best Photographer. All of the nominations were first whittled down to only twenty photographers, and then to a final top ten and Baillie Photography made the cut. The Confetti Awards are an independently judged award scheme celebrating the best of the Scottish wedding industry and I am extremely proud to be included amongst the best in Scotland. Confetti recognises that wedding photographers capture moments beautiful, real and sometimes amusing and they want to award the photographers in the industry who provide a personal and creative service. I am now in the process of selecting my final panel of images to be judged and I am looking forward to the Awards night which will be held at the Glasgow Hilton towards the end of January when the winner will be announced. It is amazing to have made it to the final and I would like to thank all of my clients past and present for their nominations and votes during the initial stages. I pride myself on running a professional and personal service for my clients and ensure that I am always on hand to offer advice or answer any of their questions at any stage of the wedding planning process and of course on the wedding day itself. I also take great pleasure in producing beautiful wedding photographs that the bride and groom will absolutely love and treasure for ever.